The Honda CBR400R will compete against the Kawasaki Ninja 400 and Yamaha R3 in global markets, but it's unlikely that it'll go on sale in India anytime soon. Say hello to Honda’s brand new 2019 CBR400R. Unveiled in Japan recently, the new CBR400R is going to make its debut in international markets soon and will take the fight against the likes of the Kawasaki Ninja 400, Yamaha R3, et al. Design wise, the CBR400R is a carbon copy of its bigger brothers, the new CBR500R and CBR650R, both of which were revealed at the EICMA 2018. It’s a fully faired motorcycle, featuring LED headlamps, and sharper overall look, which gives it a quintessential sports bike appearance. 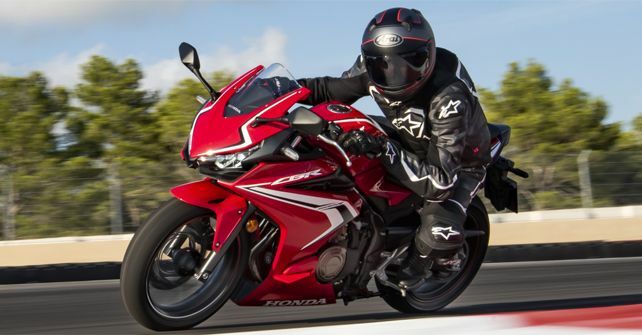 As for the powertrain, the CBR400R gets a smaller version of the 471cc parallel-twin motor of the CBR500R. The engine on duty here is a 399cc parallel-twin powertrain that develops 46bhp and 38Nm of torque. Power transmission duties are carried out by a 6-speed gearbox, which comes with a slipper clutch. Shock absorbing and road holding duties are handled by conventional telescopic forks up front and a mono-shock at the back. The motorcycle rolls on 17-inch wheels, the front being a 120 section and the rear a 180 section. Disc brakes are fitted on both wheels and dual-channel ABS is standard. That said, it weighs around 192kg, which is quite heavy when compared to its main rivals – the Ninja 400 weighs 173kg and the 2019 R3 tips the scales at 170kg. It’s highly unlikely that Honda will launch the new CBR400R in India. However, we do expect the company to replace the current CBR650F with the new CBR650R soon. Also, the company has just launched the CB300R here, and depending on its success or failure, Honda will decide whether to bring more ‘big’ bikes in to India or not.